Bed Rail 2-in-1 For Use With A Divan or Slatted Bed. 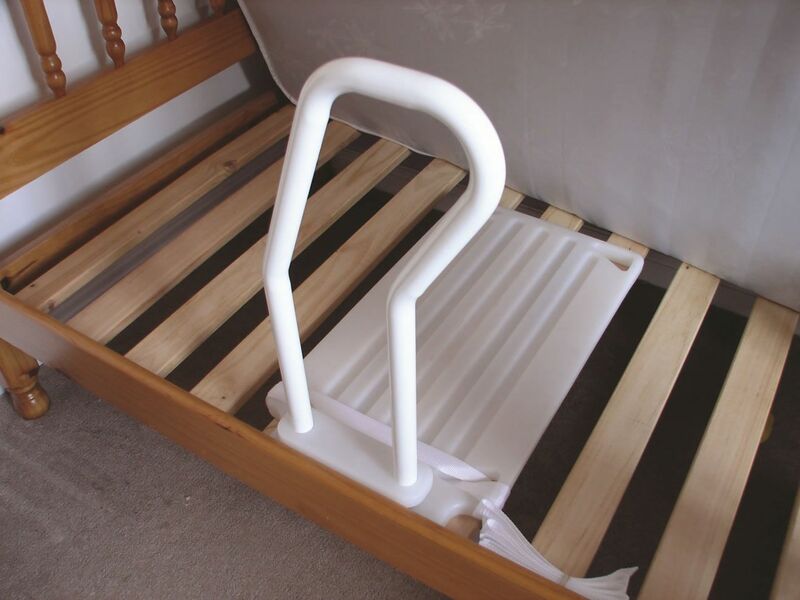 This bed rail provides stable support when getting in or out of bed, the reversible plastic base is designed so that it fits a divan or slatted bed. 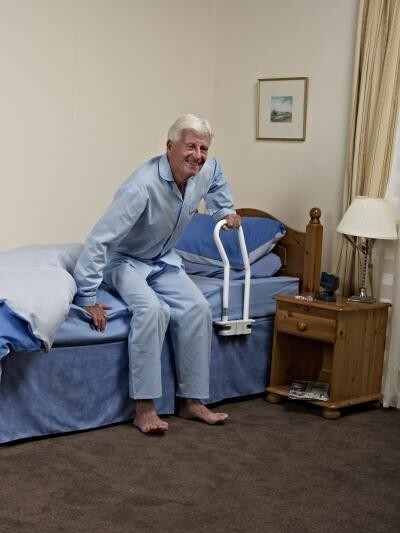 The innovative shape of the metal handrail easily and comfortably enables the users lifting action from lying to a sitting position and sitting to standing positions. It is detached from the base via two e-clips enabling it to be positioned as required for either bed type. Complete with an easy to fit strap to hold it securely in position. Can be autoclaved at cleaning cycles up to 80ºC. 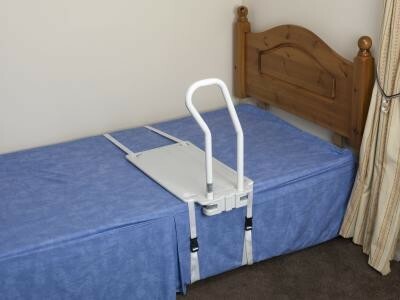 Excellent bed rail I ordered for my Mum. Quick delivery and easy to fit.